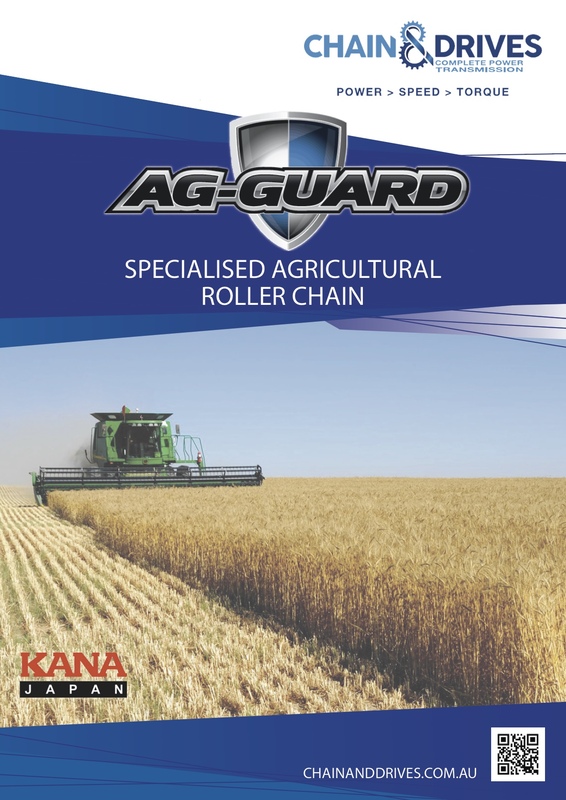 Chain & Drives are proud to announce our new line of ‘Ag-Guard’ Agricultural Chain. Partnered with KANA, a leading supplier of power transmission products and trusted name of farmers worldwide, Chain & Drives are now at the forefront of Agricultural chain technologies. Our brand new Ag-Guard chain is developed and treated for highly corrosive environments. This treatment is a specialised rust resistant component coating utilising nickel-chromium compounds and will prevent rust and premature failure caused by chain contamination. The specialised chain will come as standard across our whole agricultural chain range with no extra cost increases above standard agricultural chain. All KANA chain supplied by Chain & Drives is serial numbered on selected side plates. Every batch produced is QA tested to ensure quality of material, heat treatment and workmanship.